 Iran, April 15, 2019 - Fearing an outburst of anger and subsequent unrest in flood-stricken regions, the clerical regime ruling Iran has dispatched hundreds of its extraterritorial elements affiliated to the terrorist-designated Revolutionary Guards (IRGC) from Iraq and Afghanistan to the provinces of Lorestan and Khuzestan, in the west and southwest regions of the country, respectively. Under the pretext of assisting relief distribution efforts to the flood-hit areas or preventing floods from entering towns and villages, the IRGC uses these proxy units to, in fact, create a climate of fear and suppress any potential unrest. Following the dispatch of Hashd al-Shaabi militants (Popular Mobilization Forces/Popular Mobilization Units) from Iraq to Ahvaz earlier in the week, the IRGC-affiliated Fars News Agency reported that another group of these vicious elements, called “al-Nojaba,” affiliated to the terrorist IRGC Quds Force, have also been dispatched to Iran. “Convoys of Iraqi al-Nojaba member, with more than 100 light and heavy vehicles, have crossed the eastern Iranian border of Mehran to dispatch to the flood-stricken areas,” the Fars report reads in part. Reports also indicate that another group of the IRGC-affiliated militants has been brought from Afghanistan to the town of Poledokhtar (Lorestan Province, western Iran) that was also hit by a devastating flash flood last week. This group, known to be recruited by the IRGC Quds Force have been recruited from the neighboring country of Afghanistan to fight in Syria alongside the troops of Syrian dictator Bashar Assad, are called the Fatemiyoun Brigade. The mullahs repressive forces have in recent days been stationed in the flood-hit cities and towns of Khuzestan Province to intimidate and create an atmosphere of fear among the public. Police and security forces in the oil-rich city of Ahvaz have resorted to the arrest and apprehension of citizens since last Wednesday. Among those arrested are peaceful protesters, private aid workers, social media reporters unveiling the extent of the devastating floods, and the regular public who have rushed to the aid of their fellow compatriots in the flood-hit areas. Professor Walid Fares, U.S. President Donald Trump’s former foreign policy aid, commented on the extraterritorial paramilitary forces affiliated to the IRGC stationed in the flood-hit areas of Iran under the pretext of aid delivery. “While the Iranian regime sends these paramilitary forces to Ahvaz from Iraq to repress the Arab community living there, some American experts and bureaucrats still think that they are our allies. Donald Trump’s administration must immediately designate the Hashd al-Shaabi as human rights violators,” Professor Fares said.